WE THE BEST: After four tries, Xclusive Dancers (with Olivia 'Babsy' Grange) emerged winners of the annual dance competition. 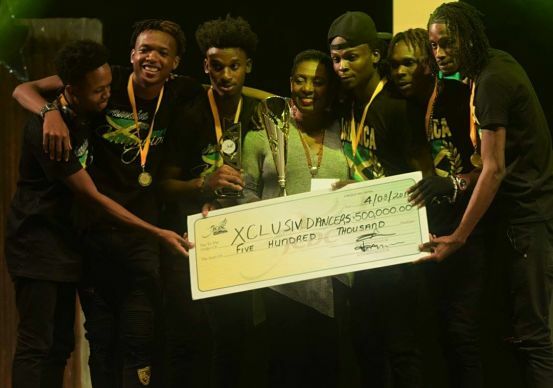 "We are just creative people, and the talent is in the East," declares Acoy Francis, one of the members of Xclusive Dancers, this year's winner of the World Reggae Dance Championships. The six-member troupe hails from St. Thomas, a parish that has a rich, world-renowned cultural heritage that the new generation, especially the street dancers, seem intent on modernizing. "St. Thomas is known for kumina and those cultural [practices], and so we have that history and legacy to inspire us," Francis says, adding that other St. Thomas-based dance groups have entered the competition and done well. In fact, Endeavorous Dancers won the title a few years ago. 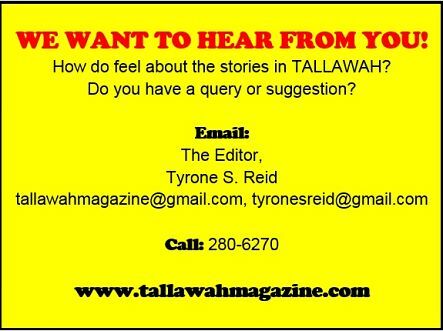 Comprised of Francis, Sidon Coke, Aston Broderick, Michael Foster, Lionel Foster and Hakeem Smith, the guys (all in their 20s and early 30s) started the group while attending Yallahs High more than a decade ago. They are all friends. But sticking together and perfecting their formula has been a journey fraught with challenges. "The journey has had lots of ups and downs, lots of obstacles to overcome. We have been doing this for so long that to finally win a competition like this is a great feeling," Francis reflects, while pointing out that 2017 marks their fourth time entering the WRD competition, and third time advancing to the final round. "It's a great achievement," adds Broderick, "to win something that's a part of the culture." For their irst-place win Xclusive Dancers took home $500,000 and other prizes. Among the sectional awards, they won Best Costumed Group. This year's World Reggae Dance Championships culminated inside the National Arena with a sizzling grand finale last Friday night, featuring dance groups from as far as Poland (Tr888 Team), France (NSA Dancers) and Australia (Jungle City Dancers) competing against local-based groups for over one million dollars in cash and prizes. Second place went to Kingston's Straight Edge Dancers (who had their very own Donald Trump and Spider Man), while Street Team, also from the Corporate Area, came third. But the darling of Friday's finale was Tr888 Team, a Polish contingent made up of five hyper-energetic girls. They copped three sectional prizes — Most Disciplined, Most Popular on Social Media and Best International Group. "We appreciate your culture and we are happy to be here," the beaming girls dished backstage. "This is the best experience of our lives."